Time to talk about someone else’s books for a change. 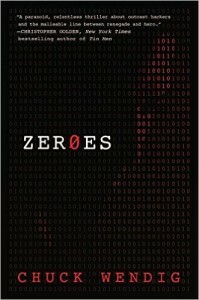 Chuck Wendig has been making waves (good and bad) recently with his new Star Wars novel, Aftermath but a few weeks ago he released a technothriller called Zer0es and it’s very cool. 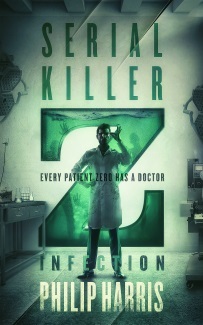 I’d pitch it as Hackers meets Terminator or maybe Hackers meets Transcendence. Or Hackers meets The Lawnmower Man. Or Hackers meets some other film where there’s a sinister AI. Anyway, whatever shorthand you settle on it’s a compelling story of a team of misfit hackers vs dubious government agencies. This recommendation is probably redundant at this point. 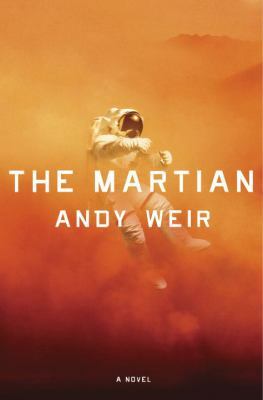 With a big budget movie on the way, the self-publishing success story that is The Martian is riding high in the charts. It’s unashamedly nerdy and I’m not sure how that will translate into a movie – I suspect they’ll focus on the action rather than the detailed descriptions of how to survive on Mars – but nevertheless I’m looking forward to seeing it on the big screen. I wanted to read the book before then though and opted for the audiobook. I wasn’t disappointed. R.C. Bray’s performance is fantastic. A lot of the appeal of The Martian comes from protagonist Mark Watney’s humour and Bray pitches it perfectly. If Castaway on Mars sounds like something you might enjoy, I highly recommend heading out to Audible and picking up the audiobook. If you’re not a member you can always get it for free by signing up for their trial. 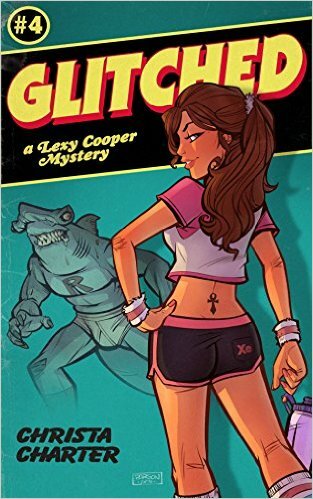 I’ve talked about Christa Charter’s series before – they’re mysteries set in the videogame industry featuring Lexy Cooper, a community manager at XBox – sorry, at Xenon – and her detective friend, Mike Malick. Lexy has an unfortunate habit of getting mixed up in various industry related murders which then play havoc with her personal life. The books are a mix of crime novel and soap opera and although they’re not the sort of thing I normally read, the videogame setting got me reading the first book and the writing and the stories put the rest at the top of my to be read pile. On the surface, the books are cozy murder mysteries with a modern, videogame twist. For the most part the first book, Schooled, is exactly that – albeit a cozy mystery with an atypically raunchy lead character. I enjoyed it and moved on to the later books in the series where I quickly discovered that appearances can be deceptive. Each successive book moves further away from the cozy formula and into darker territory. That’s particularly true with the latest book – Glitched. It begins with Lexy dealing with the aftermath of the events at the end of the previous book and she’s not in a good place. Things get even messier when the controversial creator of a web series is murdered and Lexy’s friend is accused of the crime. In an effort to clear his name, Lexy ends up diving deep into the misogynistic underbelly of the videogame industry. Charter is dealing with some dark, and important, subjects in her books and isn’t afraid to come at them face on. Being a middle-aged guy, I’m not really in a position to say how accurate her portrayals of the experiences of women in the games industry are but I can say that they feel authentic to me. 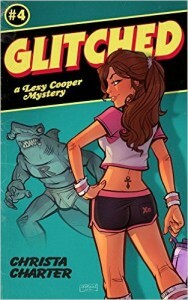 Glitched is the most thought provoking of the Lexy Cooper books so far and more people should be reading it.